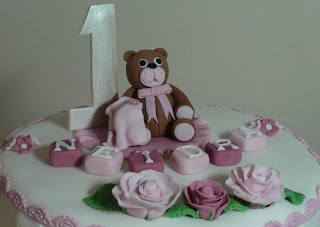 Chocolate cake with chocolate cream filling and fondant decorations. 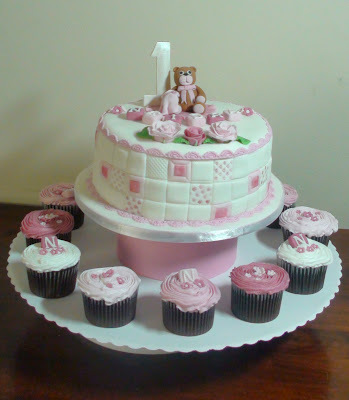 The cuupcakes are chocolate with buttercream topping and fondant decorations. The cupcake stand is hand made and can be customized to the cake theme and additional tiers added to accomodate more cupcakes.